Explore float glass (window glass), glass enamels, silver foil and other metals to fuse and slump vessels and tiles and also make a two sided dimensional mask with stand. 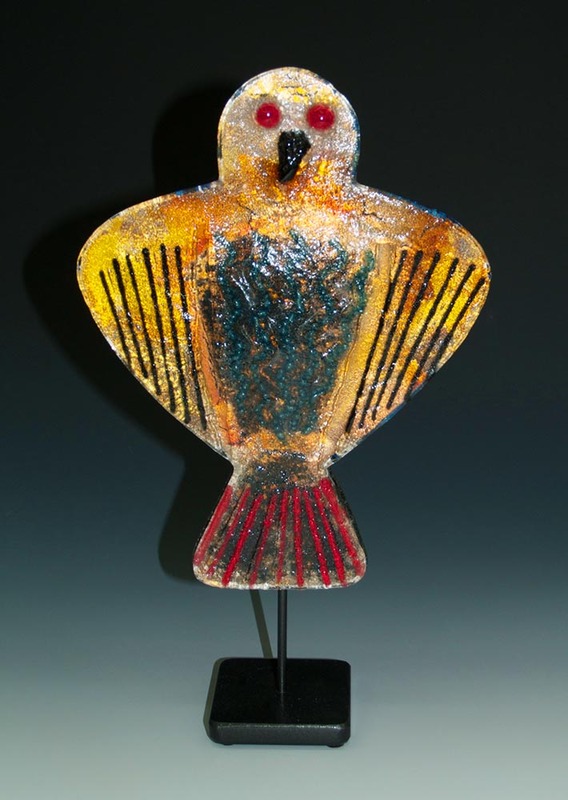 We will work with Thompson, Color Line, and Sunshine vitreous enamels and you will learn how to distinguish the “tin side” from the “air side” of float glass, how to fuse metal into glass and create reactions with mixed metals which can enhance your artwork. Learn about firing float glass and stopping devitrification. Create your own molds for slumping and sagging. 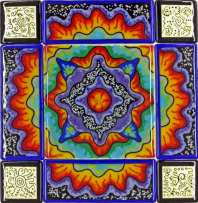 We begin by designing a Mandala and over three days using “tested compatible” Bullseye 3 mm and 6 mm sheet glass, crushed glass frit mixtures, the liquid glass line method, multiple firings, we will create glass tiles. 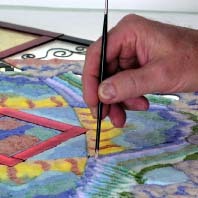 Using a rotary diamond engraver we will etch a pattern into silver foil and fuse into glass tiles. Then we will fabricate an aluminum mounting system and adhere these tiles into a pattern to create our 14″ x 14″ Mandala wall piece. On the fourth day we will use a digital stencil cutter along with the liquid glass line and silver foil to create imagery for our multi-layer 10″ x 10″ Cave Painting which we will mount on aluminum for wall hanging. This is an advanced workshop and you should be able to cut glass.